Join the Kawaii Mania now! Today we have launched our last application on the Android Play store: Kawaii Mania is live! It is a match 3 puzzle game with an original gameplay and cute and crazy art made by a talented artist specifically for this game. We have spent a lot of time trying to polish as many details as possible. As it was just released there will probably be bugs that we’ll fix in the next few days. hopefuly not too many! 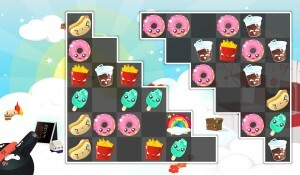 If you like kawaii japanese culture, emoji or match 3 games, download it and give us your thoughts! ← Our first app to reach 100k downloads!